Diamonds are forever, so they say. Indeed, diamonds keep value very well. Stories are plenty where fleeing aristocrats take only their diamonds and leave all else behind. You can easily sell diamonds for good money in any part of the world. 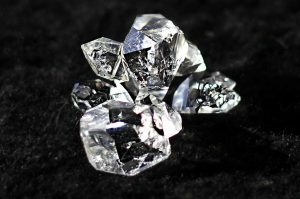 However, for the inexperienced seller, making a successful sale for a diamond is tricky as the buyer will make appraisals that the seller may not be familiar with. • Color – the color of the stone should be as pure as possible. • Clarity – the fewer the intrusions/cracks the better. Diamonds with no intrusions are called internally flawless and are highly prized. • Cut – the quality of the cut of a diamond shows the craftsman of the cutter. • Carat – this is the weight of the stone in carats. 1 gram has 5 carats. Diamonds are expensive for a reason, and that is because they are rare. It does not mean that beautiful stone on grandma’s brooch is a diamond because she said so. Make sure it is a diamond by taking it to someone who can tell for example the local jeweler. You can also do simple test if the stone is unattached. If torchlight can pass through, it is not a diamond. Unlike precious metals, pricing of precious stones largely depends on the buyer. He will offer a buying price depending on the 4C’s and how much he wants the stone. Many jewelers will negotiate very hard for a diamond as they are often not sure of a quick sale. You can compare prices online on sites like EBay. Look at completed auctions for pieces nearly similar to the one you have. You can also test two or three jewelers or pawnshops and get a rough idea of how much to expect.